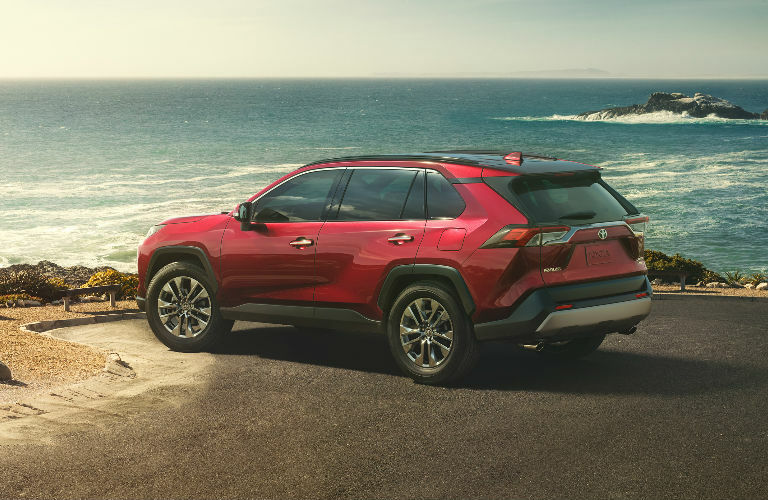 Home » Toyota RAV4 » What is the recommended tire pressure for the 2019 Toyota RAV4? What is the recommended tire pressure for the 2019 Toyota RAV4? In today’s automotive world, it takes a healthy dosage of performance and innovation to be considered at or among the top of whichever class that you belong to. 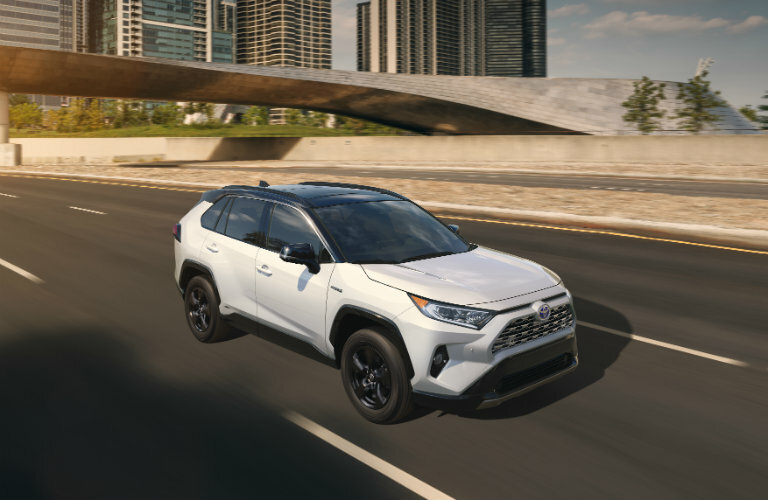 That’s why the accolades that the all-new 2019 Toyota RAV4 has received are so impressive – even with all the top-tier crossover vehicles out there, it’s refreshing and amazing to consider that the best in the business is right here in the Toyota family. Still, the 2019 RAV4 depends on all its moving parts to keep running at its best, and it all starts with your wheels and tires. Today, our Toyota Palo Alto team will show you the 2019 Toyota RAV4 optimal tire pressure and how to check it; knowing this, it’ll be easy to keep running at peak performance! It’s essential to keep your tires inflated to the correct level, not only so that your RAV4 can keep its high levels of efficiency and control, but also so that you can keep safe, sound and comfortable behind the wheel. Depending on your usage and the air temperature outside when you fill up, you should aim for an inflation level between 32 and 40 pounds per square inch (psi). For a more accurate determinant, we recommend that you check the placard located on your drivers’ side door. This will show you where you should be at all times regarding your specific RAV4 trim. Our Toyota Palo Alto team recommends that you check your RAV4 model’s tire pressure every two weeks to a month, in order to keep your tires at their right inflation level. Here’s how to do that quickly and easily. Your RAV4 should have come with a pressure gauge; press its tip onto the exposed tire valve. The gauge, at this point, should have gradations that will show you how much air you still have left in your tire. If it’s where it should be, perfect! If not, be sure to add more air as needed. Screw the tire valve cap back on. Over time and with enough use, your tires could see their treads wear away and not be able to keep as much air inside as they could. When this happens, be sure to contact our Toyota Palo Alto service team today and schedule an appointment at the date and time that’s best! How much can you fit inside the 2019 Toyota RAV4? This entry was posted on Tuesday, January 15th, 2019 at 5:06 pm	and is filed under Toyota RAV4. You can follow any responses to this entry through the RSS 2.0 feed. You can skip to the end and leave a response. Pinging is currently not allowed.